Reliance Jio 4G VoLTE feature phone announced by Mukesh Ambani at the company’s Annual General Meeting on 21 July 2017. The handset introduced as ‘India ka Smartphone’ which can support any of the android application and if you want to run WhatsApp or Facebook application in Jio phone, you can visit our site and check the detailed step there. Now, Great news has come for JioPhone customers that they can easily use SHAREit to transfer any files to the JioPhone from Android Smartphone. 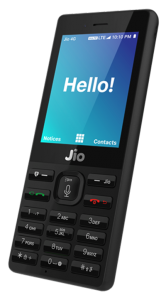 It is a great way to share any files to the JioPhone and the user may not face any problem while sending. This process is faster than the normal SHAREit send process and successfully deliver any of the files. The file will transfer as the same process, but you didn’t require SHAREit application in your JioPhone, the thing that required is JioPhone’s Hotspot and the android device which have an updated version of SHAREit. 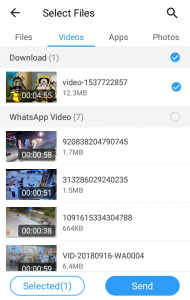 This process of sending a file from SHAREit is a tested process and it will definitely work in any of the JioPhones. The transferring process will not use web data to share, it only requires data to go to the URL, and the sending process will be the same as normal share. If you want to send any of the files to the JioPhone, you should have an updated version of SHAREit Application. Below, there are some process is given which will help you to transfer the file via step-by-step process. The first process latest version SHAREit app download, install and open user android phone to transfer the file. 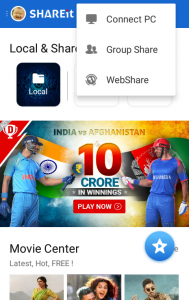 In the right side of SHAREit, you will see four dots, click on it and select the ‘web share’ option to proceed. After selecting, click on the send button to begin the send process immediately. Then you will see the web URL to sending files. Connect the JioPhone with the android phone with the help of Hotspot which will help to send the file immediately. 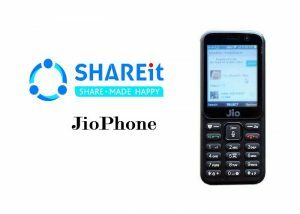 Now, you have to open the browser from the JioPhone and search the web URL which is provided in the SHAREit to begin the sending process. After searching the URL, the JioPhone will automatically show the file which you are sending from the SHAREit, click on download option to get the file. 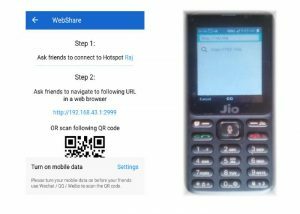 This process may help any of the JioPhone users to transfer any of the files to the JioPhone and enjoy the SHAREit option on the phone without having SHAREit application.